Report: With forecast F4 winds after a week of wind , the open sea was rejected as an option. 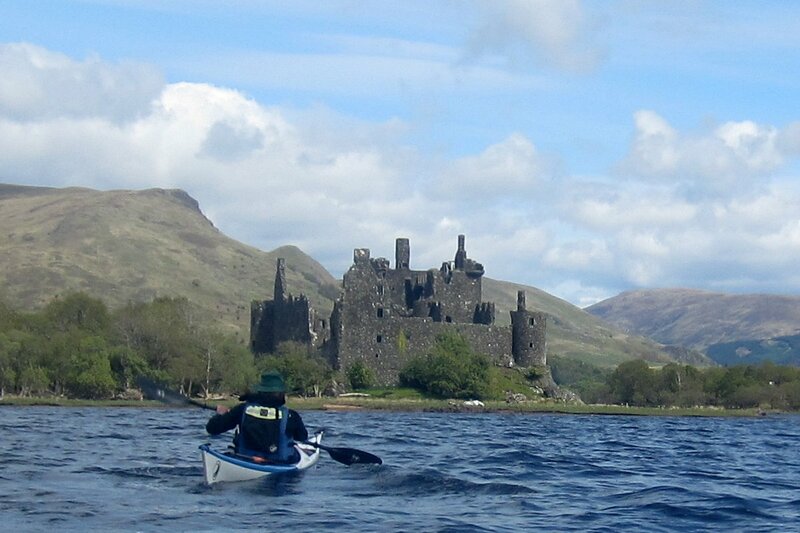 The islands of Loch Awe offer an alternative, extremely attractive and “historic” day trip. Getting to the water is a challenge but we found a short steep track off the Inverary road down to an abandoned piece of the road where there was good parking and a relatively short but steep clamber down to the water. The beach was scattered with sharp boulders as is the whole loch. 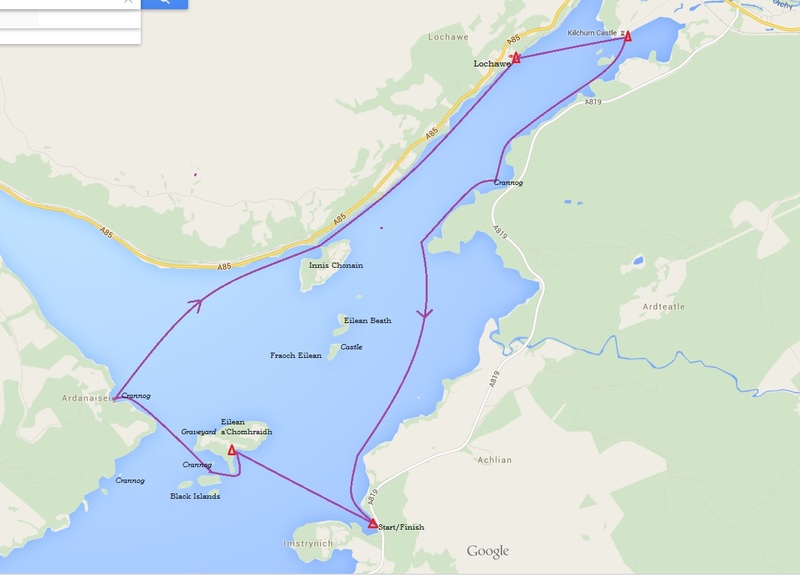 We paddled the first stretch to Eilean a’Chomhraidh into a strong westerly. The island itself has several sandy beaches and a number of attractive camp sites. At the west end there is a ruined church and a graveyard where the last two Dukes of Argyll are buried. The whole island was covered in bluebells and a roe deer kept us company for a time. A visit is strongly recommended. 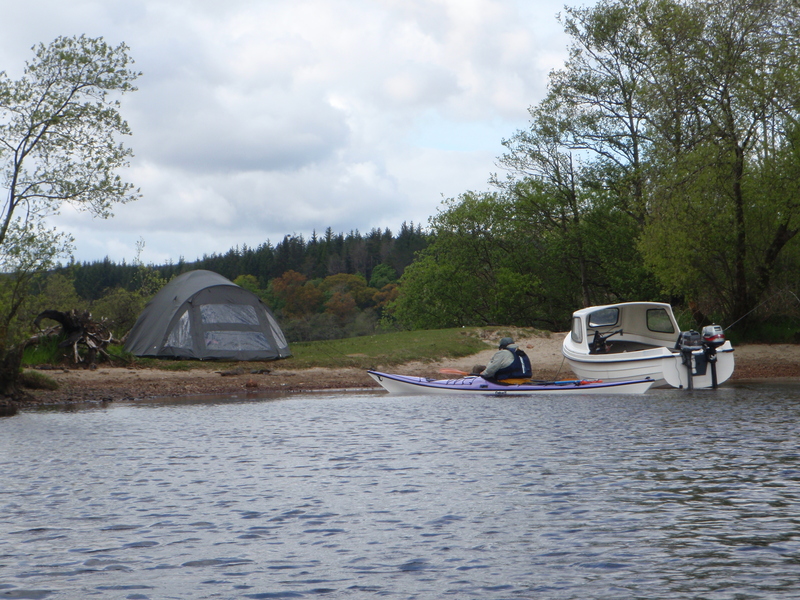 We then paddled on to the hotel at Ardanaiseig passing two crannogs en route. Crannogs (artificial islands which formed the base of prehistoric huts) are a feature of the loch with no less than 5 in the vicinity. Because one of our number had inadvertently left his lunch behind we decided not to stop and pushed on towards the island of Innis Chonain which is joined to the mainland by a short bridge. There are 3 or 4 private properties on the island. Landing on the shore at Lochawe village is difficult because of the railway. We eventually found a rough beach at the far end of the railway station which provided access via the platform to the pub (closed) and the small shop. A pleasant lunch was had by all. The next stage to Kilchurn Castle passed quickly with a strong breeze at our backs. The views up Glen Orchy were wonderful. 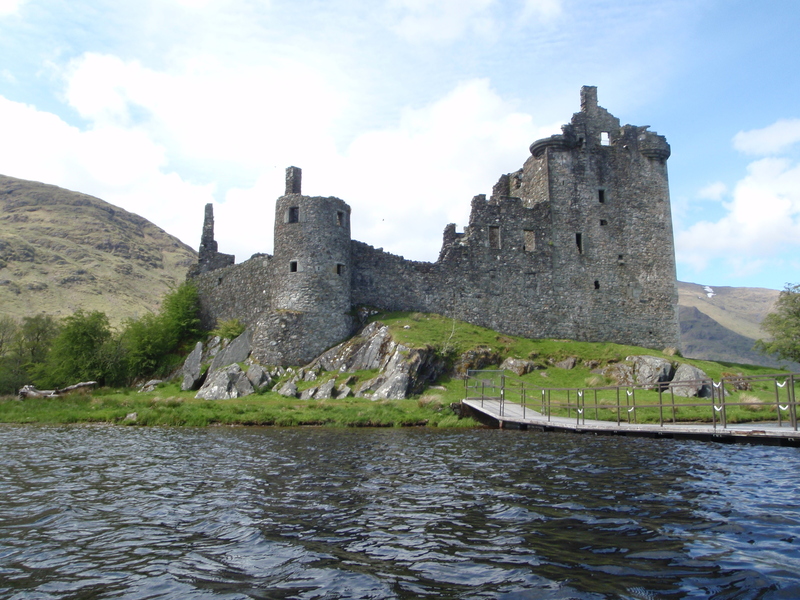 Kilchurn Castle is another “must see”. Situated at the end of a broadened causeway (KIlchurn was originally on an island ), it is a complete ruin but some inspired steps and platforms take the visitor right up the towers. Excellent information Boards provide a history of the castle and the devious dealings of the Clan Campbell. The views of and from the castle are superb. 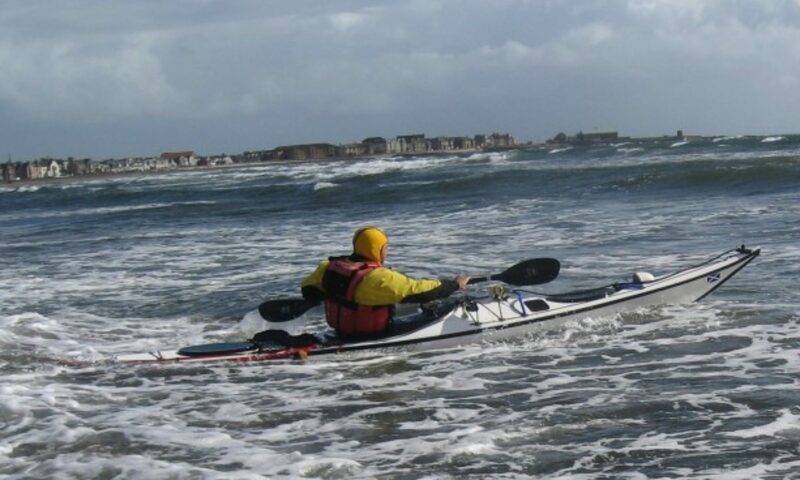 The final few miles was hard work into a strong F3/4 wind. Perhaps it simply added a challenge to make for a thoroughly satisfying day.